Vinnie Gentile has dedicated his entire career to public service and bettering the lives of the hard working people of New York. 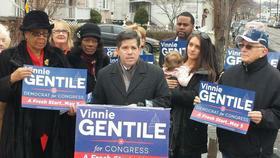 As a former prosecutor in the Queens District Attorney's office, a former New York State Senator representing both Staten Island and Brooklynites, and as a current member of the New York City Council, Vinnie Gentile has been a steadfast representative for the people of Brooklyn and Staten Island. When firehouses were in danger of closing, Vinnie was a leader in the successful fight to keep New Yorkers safe and firehouses open. When the NYPD was equipped with inadequate bulletproof vests, it was Vinnie's bill that ensured the funding was there to protect the heroes who protect our city. And as a champion for education, Vinnie helped to secure funding not just for school infrastructure but also for places where children learn outside the classroom, like parks and libraries. As our congressman, he will refuse to play D.C. politics, and instead will always put the people he represents first. 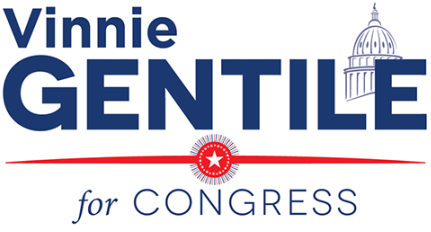 Vinnie Gentile knows that it's time to stop giving handouts and kickbacks to the rich and time to start strengthening our economy by cutting taxes for the middle class, by creating jobs, and by supporting small businesses. ROSEBANK – Today, Deputy Majority Leader New York City Councilman Vinnie Gentile, the Democratic nominee for New York's 11th Congressional District for the United States House of Representatives, gave his full-throated support to an important piece of bipartisan legislation aimed at addressing the Highway Trust Fund solvency crisis and spurring new infrastructure projects and construction jobs across America. The Infrastructure 2.0 Act, sponsored by Democratic Congressman John Delaney of Maryland and Republican Congressman Richard Hanna of New York, uses international corporate tax reform to fill the Highway Trust Fund pothole solidly for six years. 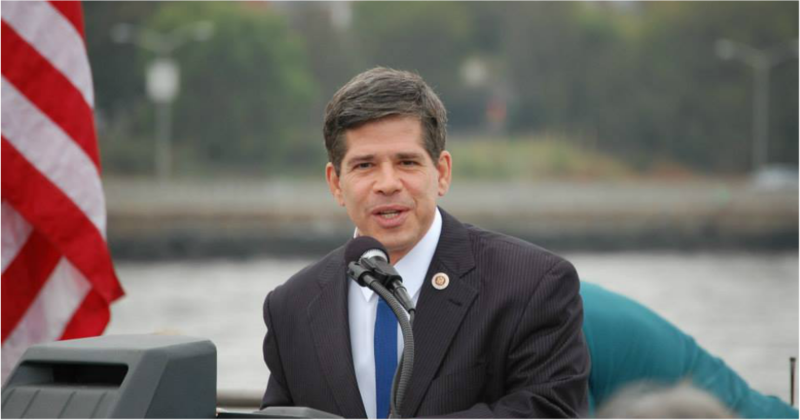 “Our highways, streets, mass transit systems, and bridges are in total disrepair and it’s time we passed a real bipartisan solution to keep the Highway Trust Fund strong and solvent,” Councilman Vinnie Gentile said. “This unique approach to funding and financing America’s infrastructure is exactly what is needed."